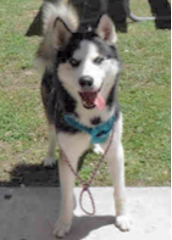 I am an unaltered male, Black and White Siberian Husky. The shelter staff think I am about 1 year and 2 months old. I have been at the shelter since Apr 16, 2019. Although I am still in my stray holding period, I may be available for the Foster to Adopt Program. 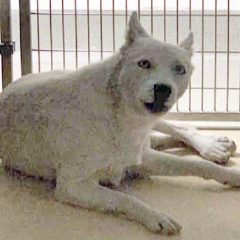 I am an unaltered female, White Siberian Husky. The shelter staff think I am about 3 years old I have been at the shelter since Apr 15, 2019. Although I am still in my stray holding period, I may be available for the Foster to Adopt Program. 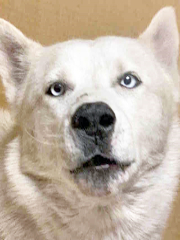 I am an unaltered male, White Siberian Husky. The shelter staff think I am about 3 years old. I have been at the shelter since Apr 15, 2019. Although I am still in my stray holding period, I may be available for the Foster to Adopt Program.